Posted in General and tagged flora, flowers, yellow on Sunday, 14 September, 2014 by Paul. 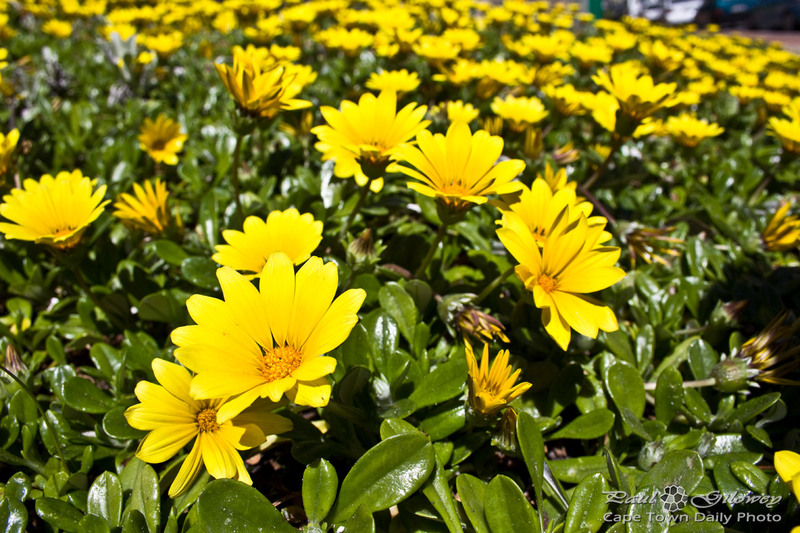 Posted in General and tagged flora, flowers, yellow on Friday, 12 September, 2014 by Paul. 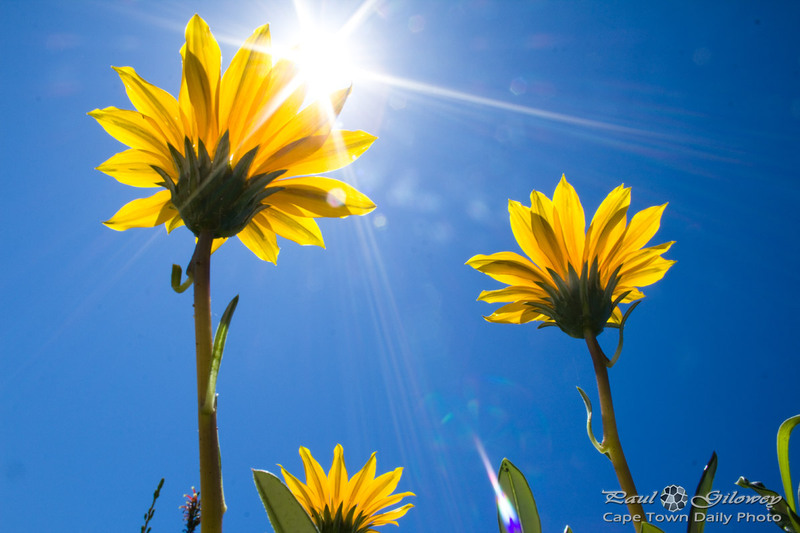 Posted in General and tagged flora, flowers, yellow on Friday, 5 September, 2014 by Paul. Posted in General and tagged flora, flowers, yellow on Tuesday, 2 September, 2014 by Paul. 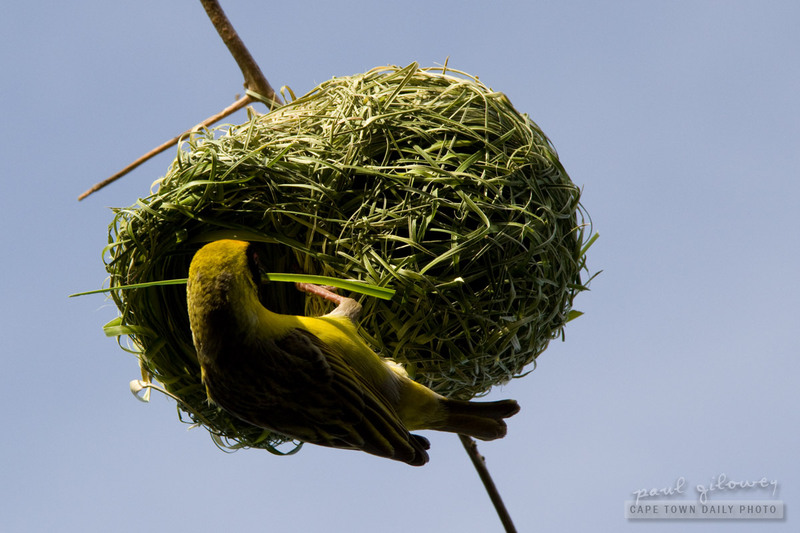 Posted in General and tagged flora, flowers, spring, yellow on Tuesday, 3 September, 2013 by Paul. 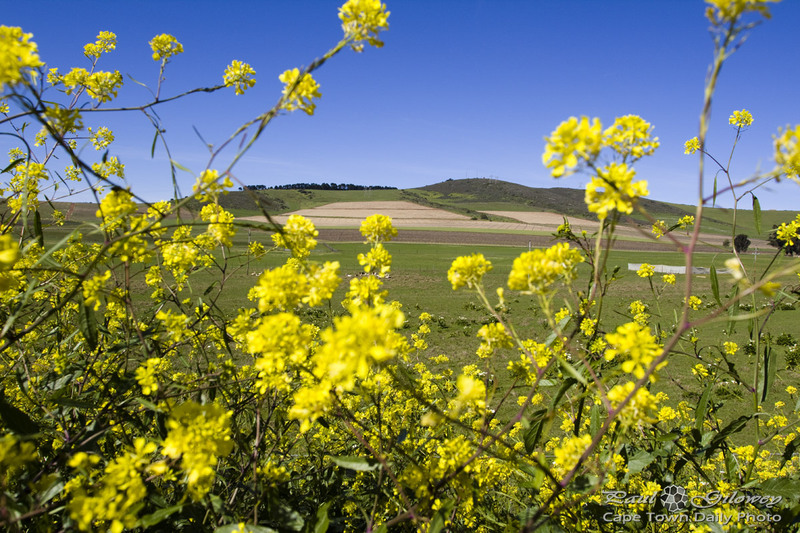 Posted in General and tagged flora, flowers, yellow on Wednesday, 31 October, 2012 by Paul. 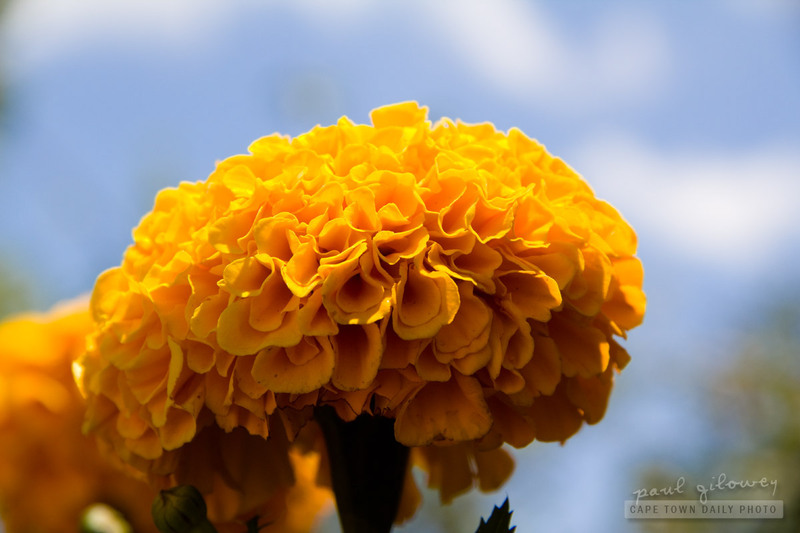 I'm not a botanist by any stretch of the imagination, but some searching on the Web has led me to believe that this is an African Marigold, a member of the Tagetes genus. Posted in General and tagged flora, flowers, yellow on Monday, 30 January, 2012 by Paul. 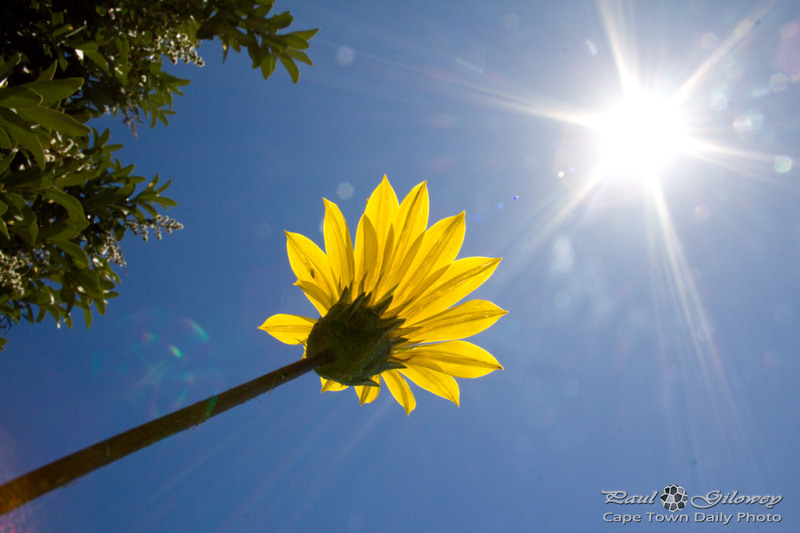 We took a drive out to Riebeek Kasteel - a little town in the Riebeek Valley recently. If you've been out into the Cape countryside, I'm sure you'll believe me when I say that the view in real life is so much prettier than what this photo portrays! 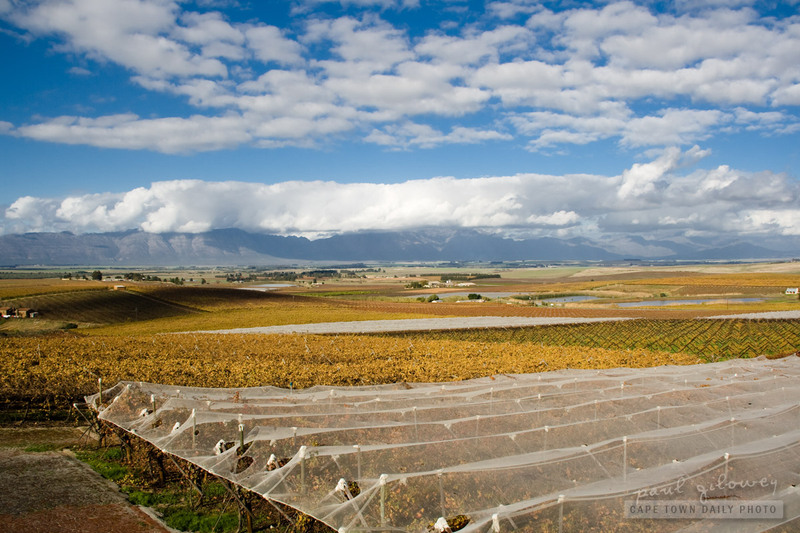 In case you're wondering, the white nets that you see in photo cover the grape vines. I assume that they're used to protect the ripening grapes from the harshness of the sun. It's curious to me though that only this patch is covered - do you think it could be because this particular patch is used to provide grapes for late-harvest wines? Posted in Landscape and tagged blue, orange, sky, vineyard, yellow on Wednesday, 13 July, 2011 by Paul. 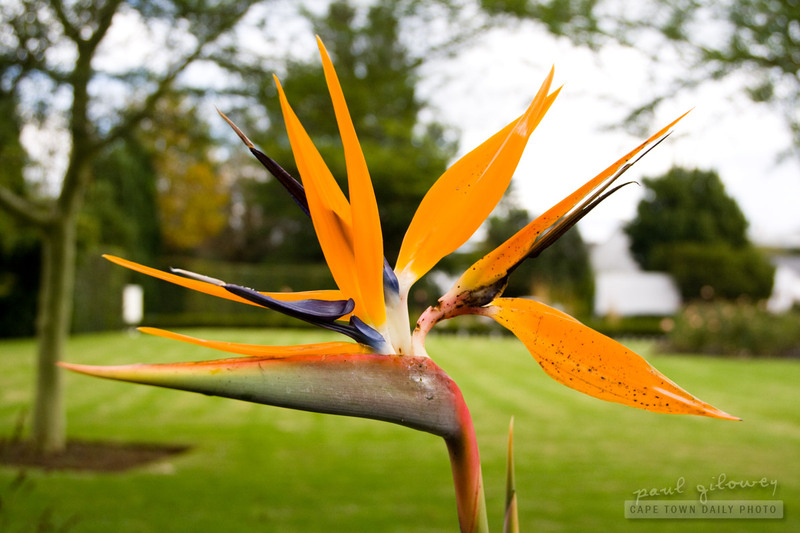 Given its appearance, it's no wonder that the Strelitzia is some times referred to as the Bird-of-Paradise, or Crane Flower. The Strelitzia Reginae is indigenous to South Africa - and in fact, although this isn't ours, we do have one in our garden. The foliage of this plant is evergreen and the large leaves are shaped a little like those of a banana tree - only smaller. Posted in General and tagged flora, flower, green, orange, yellow on Sunday, 19 June, 2011 by Paul. 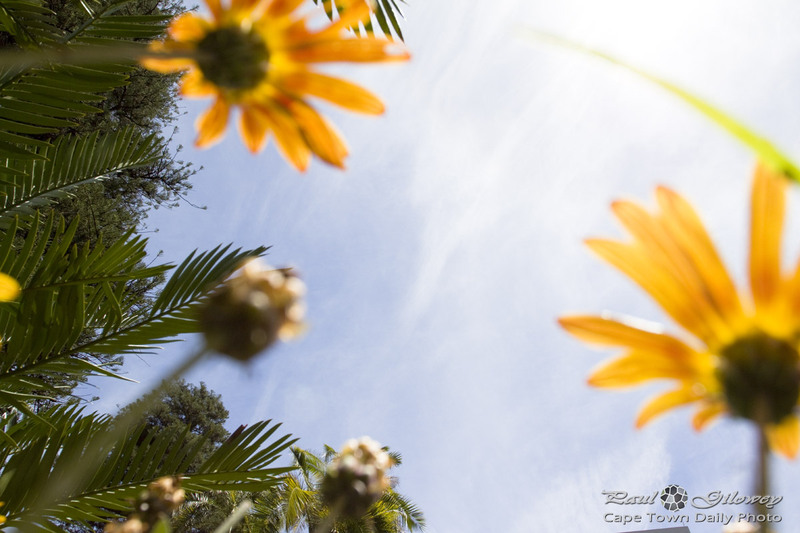 I took this photo close to the where I shot yesterday's one - on the slopes of Lion's Head. 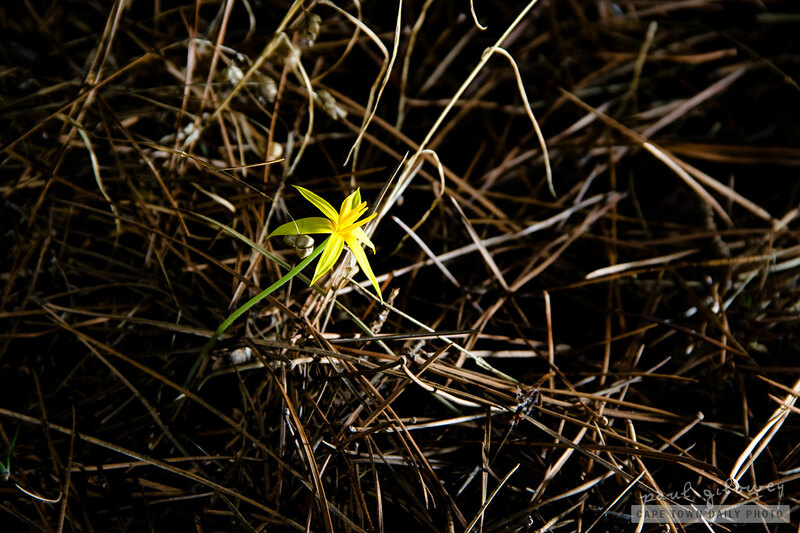 Often in life we come across unlikely victories, or turns of fortune, where even though the odds are stacked so greatly against a particular outcome the unlikely scenario prevails - much like this flower springing up from under a thick bed of pine needles, amidst the dark shade of a giant trees. Posted in General and tagged flower, needles, pines, politics, yellow on Thursday, 5 May, 2011 by Paul.